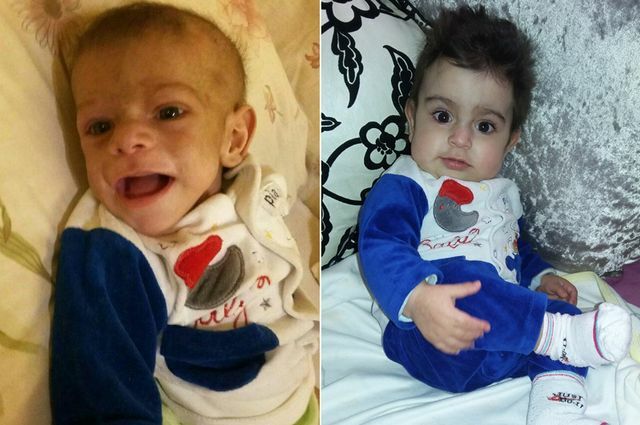 Hussein El Kerdi before and after his successful treatment for ADA-SCID, also known as bubble baby disease. Courtesy of the El Kerdi family. When he was born in September 2015, Hussein El Kerdi looked like a healthy baby boy. No one knew that his immune cells lacked an important enzyme. 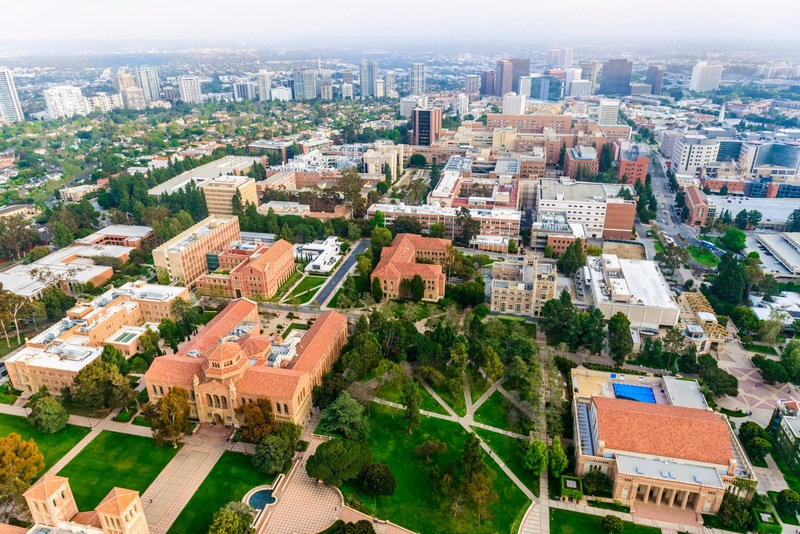 But the absence of that enzyme would profoundly change the El Kerdi family’s life, sending them on a journey from their small hometown in Lebanon to UCLA. Their one goal: to save Hussein’s life. Kohn’s treatment involves removing those blood-forming stem cells from the patient’s bone marrow and correcting the genetic mutation by inserting the gene responsible for making adenosine deaminase. The corrected stem cells are then infused back into the patient, where they begin producing a continual supply of healthy immune cells that are capable of fighting infection. In Lebanon, Hussein’s father, Ali, and mother, Zahraa, had heard nothing about the treatment. They were told that there had been no other cases of bubble baby disease in the Middle East, and that Great Britain and the U.S. were the only places where this experimental treatment was available. With help from family and friends, the El Kerdis created a plan that would eventually bring them to UCLA. A relative who is a doctor in Michigan emailed Kohn to tell him about Hussein, and Kohn — along with colleagues from the UCLA Broad Stem Cell Research Center, the David Geffen School of Medicine at UCLA and UCLA Mattel Children’s Hospital — began to make arrangements for the El Kerdis’ arrival and Hussein’s treatment. Each day leading up to his stem cell gene therapy treatment, Hussein became stronger thanks to the expert care provided by the pediatric intensive care unit at the children’s hospital. On July 12, 2016, some of Hussein’s bone marrow was removed and blood-forming stem cells were extracted from it. Two days later, after the cells were genetically modified, they were infused back into Hussein. Over the next couple of months, the stem cells began to create immune cells that produce adenosine deaminase. 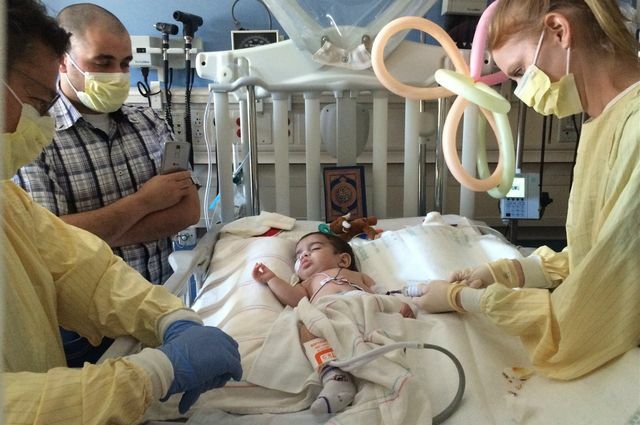 By the beginning of that September, just a few weeks before his first birthday, Hussein was healthy enough to go home. Before leaving UCLA, the El Kerdis celebrated Hussein’s birthday with Kohn and several of the nurses who cared for him. During the celebration, Ali and Zahraa expressed their gratitude. Hussein El Kerdi during his 2016 procedure at UCLA. His father, Ali El Kerdi (with cell phone) looks on. UCLA Broad Stem Cell Research Center.